Find out why New York Times best-selling author Vincent Zandri is calling Jack Patterson "a worthy successor to Vince Flynn." From best-selling author Jack Patterson comes a pulse-pounding mystery thriller about a D.B. 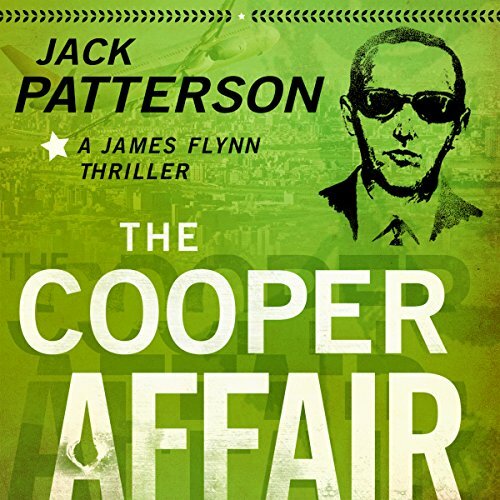 Cooper copycat who engages former CIA operative James Flynn and FBI agent Jennifer Banks in a deadly game of cat and mouse. In the third installment of the James Flynn thriller series, Flynn is working on an article for his magazine The National about the famous D.B. Cooper skyjacking case in Washington when a brazen criminal leaps from a commercial jet with a million dollars. While it's not an exact replication of Cooper's heist, FBI officials can't deny the similarities between the cases and the thief's obvious attempt to make himself out to be Cooper's equal. Working as a consultant for the FBI, Flynn teams up with Banks again to catch a criminal who grows more dangerous and daring with each move. Meanwhile, retired FBI agent Harold Coleman who worked on the original Cooper case inserts himself into the investigation in an attempt at redemption. All three find themselves trapped in a deadly game of cat and mouse with the thief and must find a way out before it's too late.